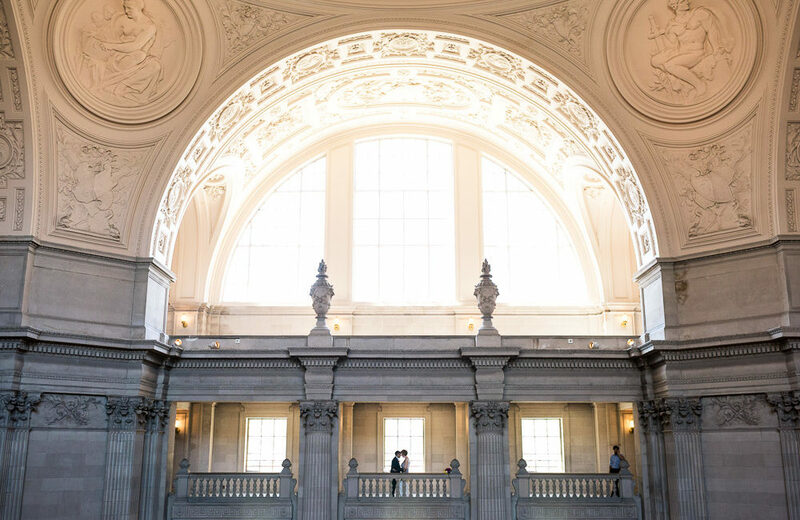 Emily and Salvadore’s intimate San Francisco City Hall wedding was perfect for them. Emily’s immediate family were in attendance, as well as one of Salvadore’s close friends. They were both so relaxed, I can’t imagine them having a big wedding with a huge number of guests. After they wrapped up at City Hall, they headed over to a restaurant on the Embarcadero for lunch with many of their closest friends. If you could see how Salvadore looks at Emily, the way he cares for her, you would know how amazing they are together. Similarly, if you could see how Emily lights up when Salvadore talks and see her eyes sparkle when she looks at him, you would know that they are meant to be. I hope these photos give you a small taste of how big their love is for each other. Holly and Carlo Are Engaged!